Since it first set up shop in 1948 Avis has gone from strength to strength to make a name for itself as the planet’s favourite car rental company. From Carnarvon to Cape Conran, Aussies will love the sensational service on offer from Avis. From cheap and cheerful cars to help get you from A to B to forcible 4X4s to take on even the toughest of terrain, Avis can help get you where you’re going. With vehicles available in more than five thousand locations across 165 countries across the planet, Avis is a market-leader in the car rental game. With it’s Advanced Vehicle Identification System, Avis maintains a formidable fleets of tens of thousands of cars across the globe, so you’re sure to find something to take your fancy. Whether you’re cruising the Bruce or heading down the Hume, put the pedal to the metal without breaking the bank by tapping into the incredible value on offer from Avis. How do I use my Avis discount code? If no code needed, your discount is automatically applied! Be first in line to hear about new deals, sales and promotions from Avis by signing up to receive its newsletter, and pick up an instant 10% off whilst you’re at it! Avis requires drivers to be 25 years of age or older. A few Avis rental locations have lower minimum age requirements, such as 21-25, but this may incur a daily surcharge. Can I smoke in my Avis rental car? All the cars in the Avis fleet are non-smoking. Any decision to smoke inside your rental car may jeopardise your deposit. Will Avis sort out my traffic violations? If you commit any traffic violations whilst renting, including speeding fines and parking fines, these fees are not included in your rental plan and you will have to pay the charges. To avoid any No-Show fees, get in touch with Avis to cancel your reservation at least 48 hours in advance. Opening times vary between locations. Find the hours of your local Avis car rental here. When you’re looking for a hassle-free car rental that you know you can rely on, look no further than Avis. Cheaper than the competition and with dependable, quality cars as standard, Avis stands out in the saturated rental market, so grab one of our Avis discount codes and see how much you can save today. Whether you’re heading off on an epic road trip or just need a car to help you get around town for a little while, you can’t do better than Avis. Sometimes big things come from very humble seeds, and Avis Rent-a-Car was no exception. It was founded in 1948 in a place calling Ypsilanti, Michigan in the United States. Back then, it had just three cars in its fleet, but within five years had expanded to become the second biggest car rental company in the states. Within another five years and Avis had offices in Canada and Mexico, and even across the Atlantic in Europe. 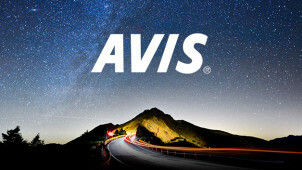 Avis didn’t stop there, though, and today is the world’s leading car rental company! Cruise in comfort and style with something from Avis’ signature series. Offering a luxury level of motor transport, tap into this amazing range for less with one of our Avis coupons. With opulent options from Mercedes and BMW, there’s no feeling quite like rolling down the road in one of these bad boys. Wherever you’re heading you’ll get there in effortless elegance, so get your motors running with Avis’ signature series today.